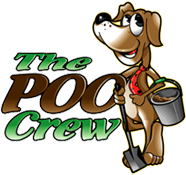 The POO Crew is working to become the largest Eco-friendly pet services company in Littleton and the Denver area. We plan on doing this by offering the best service that we can at the most affordable rate. Help us on our journey by submitting a testimonial or following us on Facebook and Twitter! Have you used us before? If so, submit a testimonial here! Or, write us a review on Yelp! WHY PICK THE POO CREW? Fully insured with liability and workers comp insurance. Environmentally conscious, half of our dog waste picked up is taken to a facility that composts it. We have our own line of POO Bags that fit into most pet waste stations. Life’s Abundance Holistic Pet Food – Premium, Fresh, Holistic Pet Food, Treats, Vitamins, and Grooming Products. PROUD Colorado born and raised business! We’re in the business of #2, so call the #1 Crew to pick up your POO! We service apartment complexes and condos too! We service everything within the E470/C470 circle including Parker and Castle Rock! Our service areas include Denver, Colorado Springs, Parker, Aurora, Littleton, Highlands Ranch, Lakewood, Greenwood Village, Centennial, Cherry Creek, Washington Park, Wash Park, Castle Pines, Castle Pines North, Congress park, Douglas County, Jefferson County, Arapahoe County, Denver County, Lowry, Stapleton, Lone Tree, Inverness, Cherry Hills, Buckley, Castle Rock, Castle Pines Village, Broomfield, Northglenn, Thornton, Westminster, Arvada, Commerce City, Federal Heights, Welby, and Berkley.